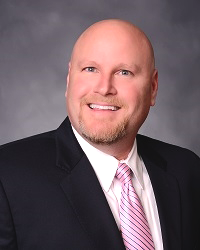 Scott has been a licensed Investment Advisor/Financial Planner since December of 2000. Starting his career with Asset Management & Financial Planning Services, he had the privilege to work with his father, Stuart Smolins who founded his business in 1960. Stu has since retired and is living proof that his basic philosophy "return on investment, compounded by time, equals an enjoyable retirement" holds true, a philosophy that Scott has adopted. Scott is an approved Smartvestor Pro through Dave Ramsey Solutions and enjoys working with individuals, families, small business owners and fire departments. Most importantly, he provides the education and tools necessary to develop a financial plan to fit your lifestyle and to help you to reach your long-term life goals. While he has a holistic approach to Financial Planning, he focuses on Investments, Life and Long-Term Care Insurance, Estate Planning & Tax Reduction Strategies. On a personal note, I am a Planner, not a Salesman. My vision is to help clients navigate the stock market and the ever-changing landscape of investments and planning to their advantage and not be fearful of the unknown. Our logo says it all, we Evaluate your current financial situation, we Envision what the future should look like with a solid financial plan and we Execute and frequently review the plan to meet your goals. Scott currently resides in Hanover, PA with his sometimes (she says always) better half Karen. Scott and Karen have four daughters, Raine, Madison, Molly and Rylie. In addition to being a Financial Planner, Scott is also a Chef and in his free time, he and his family enjoy cooking and entertaining. Scott Raab has contracted with Dave Ramsey as a Smart Vestor Pro. Dave Ramsey's Smart Vestor Pro is for investment services only. Dave Ramsey's endorsement does not extend to the financial planning or investment advisory services offered through Lincoln Financial Advisors. Lincoln Financial Advisors is separate from and unaffiliated with Dave Ramsey. Smart Vestor Professionals pay a fee to be included in the network.